In Home & Online PSAT Test Prep Tutoring - Club Z! Tutoring of Santa Monica, CA. PSAT Test Prep Tutoring in Santa Monica, California. In Home & Online PSAT Test Prep Tutoring with a Club Z! Tutor. Our office provides in home and online PSAT tutoring services in the following locations including Santa Monica, Venice, Oakwood, Ocean Park, Wilshire Montana, North of Montana, Mid-City, Northeast, West Gate Heights, Sawtelle and Picoin California. Many parents are familiar with the PSAT (Preliminary Scholastic Assessment Test), the precursor to the SAT which helps determine how ready a student is for the most important test in their educational experience. And, a student’s performance on the PSAT also determines whether or not they are eligible for the National Merit Scholarship program, which can provide vital funding for college applicants. As a first step in college entrance exams, the PSAT helps students become familiar with college entrance exam format and subject matter. Armed with their PSAT experience and scores, student study time can be more productive and the focus can be on areas where they need improvement. Z Prep! recommends to all our high school students that they take the PSAT exam in their sophomore year. Here’s why high school sophomores should consider taking the PSAT: practice for the SAT or ACT, qualify for the National Merit Scholarship program, gain familiarity with the exam experience such as atmosphere, format and tempo, see how well you handle factors such as test anxiety and time pressures so you can work on these if necessary, be better prepared and get a better score later on the SAT and ACT. The PSAT has three separate sections: Math, Writing, and Critical Reading. Z Prep!’s PSAT test prep program will address each of these sections and focus where you need the most help. 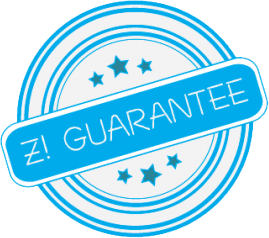 Give us a call today to find out how Z Prep! can help prepare your student for the PSAT exam. In addition to Santa Monica, our office offers PSAT tutoring services in the following locations: Santa Monica, Venice, Brentwood, and Pacific in California.